Topping the UK charts for much of the winter was Robson & Jerome's techno-retro take on ""You'll Never Walk Alone"" . . . Barbara Cook's newest album, OSCAR WINNERS, is a tribute to Oscar Hammerstein II; produced by Hugh Fordin for DRG Records with Wally Harper as musical director, and based on Cook's triumphant SRO engagement at New York's Cafe Carlyle last October, the album should be out in March to coincide with Cook's return to the Carlyle . . . Cabaret great Susannah McCorkle will put out an album to coincide with her New York club date, an all-Irving Berlin set at the Algonquin Hotel's legendary Oak Room from May 6 to June 28; the album, LET YOURSELF GO - THE SONGS OF IRVING BERLIN, will feature an all-star octet and 14 songs . . . Composer Mary Rodgers will be represented with two new albums this spring: HEY, LOVE, the cast recording of Music Theatre Group's compilation of her songs starring Faith Prince, Jason Workman and Mark Waldrop, due out from Varse Sarabande in February and based on 3 OF HEARTS (the version presented at New York's Rainbow & Stars last fall); Rodgers' second release, as reported earlier, is the new Broadway cast recording of ONCE UPON A MATTRESS from RCA Victor, starring Sarah Jessica Parker and due out in March . . . In January, Verve reissued the classic ELLA FITZGERALD SINGS THE RODGERS & HART SONGBOOK with new liner notes and packaging that harkens back to the original LP formats, with the two volumes joined in one CD set for the first time; Ella's IRVING BERLIN SONGBOOK, also with both volumes sold together, will be released later in the spring . . . Other major re-issues include Broadway Angel's compilation of highlights from the original London cast recordings of OKLAHOMA!, CAROUSEL and SOUTH PACIFIC, plus their first CD release of the original London cast recording of THE SOUND OF MUSIC . 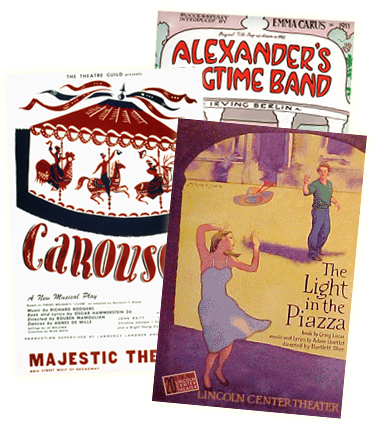 . . Also from Broadway Angel: a deluxe boxed-set of three R&H motion picture soundtrack albums - OKLAHOMA!, CAROUSEL and THE KING AND I . . . We would be remiss if a special issue of our newsletter devoted to recordings didn't mention The Rodgers & Hammerstein Archives of Recorded Sound at The New York Public Library. The Archives were founded by a grant from The Rodgers & Hammerstein Foundation and established in 1965, when the Performing Arts Division of the NYPL re-located to Lincoln Center. Today, the collection has grown to approximately 500,000 private and commercial recordings that span a century. While we're flattered when patrons assume that the Archives are devoted strictly to the works of our co-founders, the collection is actually a comprehensive resource for nearly any form of recorded sound, including radio broadcasts, accent and dialect tapes, private recordings donated by performers and composers, and interviews with celebrities and historic figures. For further information contact the NYPL at 212/870-1630. 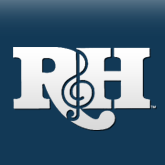 Premiere recordings of new works in The R&H Theatre Library (see story, p. 9) include: Adam Guettel and Tina Landau's FLOYD COLLINS (Nonesuch, March) . . . Jeffrey Lunden and Arthur Perlman's WINGS (RCA Victor) . . . Joe DiPietro and Jimmy Roberts' I LOVE YOU, YOU'RE PERFECT, NOW CHANGE (Varse Sarabande) . . . and a recital version of Enid Futterman and Michael Cohen's musical YOURS, ANNE entitled I AM ANNE FRANK (Anne Frank Center USA), featuring Andrea Marcovicci and Stephen Bogardus.